…here to stay is the new bird! We’re still in all-Christmas-music-all-the-time mode. We’ll likely be de-Christmasing this weekend, and the kids have already requested that we listen to Hamilton as soon as we turn off the Christmas music. (don’t worry, it’s a cleaned-up version). It was hilarious to hear the words to Winter Wonderland today, though. 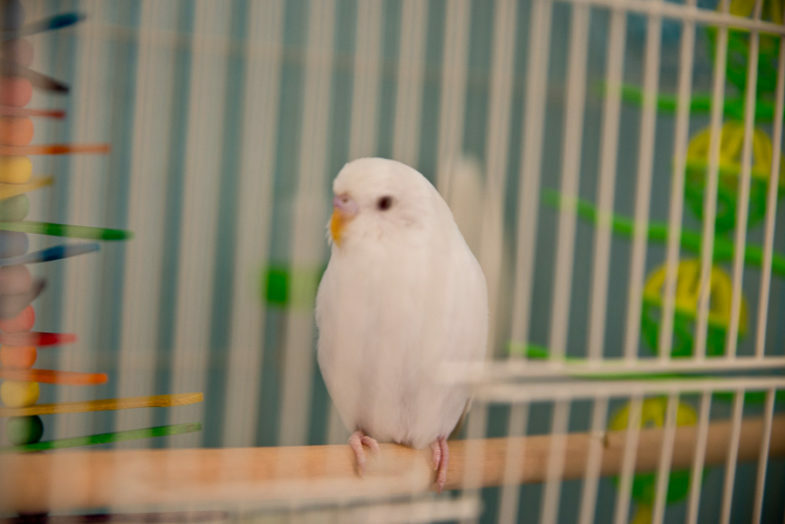 Because we have a new family member: a white parakeet (budgie) named Scuttle! We hadn’t done anything about it because life is always busy. But when we realized we needed a way to celebrate the fact that we’ll officially be SuperHosts on Airbnb starting January 1st, I knew this was the perfect timing! But the two blue budgies at PetSmart were clearly females, and the couple male green ones reminded me too much of Max, the really grumpy, impossible-to-train parakeet I had in college. So when we saw this pretty white one, who was playing in the cage with his cage-mate, we knew he was perfect! The kids are in love. They won’t stop talking to him and looking at him and telling me every move he’s making. He’ll get comfortable quickly, and then we’ll work on training him so he can get out of his cage. We picked up books from the library and I’m giving the kids some time to learn this on their own. He didn’t bite me when I moved him from his box into his cage (Max, the bird I mentioned earlier, totally would have), so I take that as a good sign that he’ll be trainable! Welcome to our little family, Scuttle!